The Society of Scholars was created on the recommendation of former president Milton S. Eisenhower and approved by the university board of trustees on May 1, 1967. The society — the first of its kind in the nation — inducts former postdoctoral fellows and junior or visiting faculty at Johns Hopkins who have gained marked distinction in their fields of physical, biological, medical, social or engineering sciences or in the humanities and for whom at least five years have elapsed since their last Johns Hopkins affiliation. The Committee of the Johns Hopkins Society of Scholars, whose members are equally distributed among the academic divisions, elects the scholars from the candidates nominated by the academic divisions that have programs for postdoctoral fellows. The scholars elected in 2005 will be invested at a ceremony hosted by Provost Steven Knapp at 4 p.m. on Wednesday, May 25, at Evergreen House. At that time, the new members will be presented with a diploma and a medallion on a black and gold ribbon. The induction — which brings to 475 the total number of members in the Johns Hopkins Society of Scholars — will be followed by a dinner hosted by President William R. Brody. The new members will be recognized at Commencement on May 26. The following listing gives the names of the inductees, their Johns Hopkins affiliation and a short description of their accomplishments at the time of their election to the society. Rafael Beyar has been a leader in interventional cardiology for two decades. Taking advantage of his rigorous training in biomedical engineering and medicine, Beyar has made contributions ranging from fundamental experimental and theoretical analyses of normal and pathological cardiac mechanics to the development of new cardiac therapeutics and diagnostics. 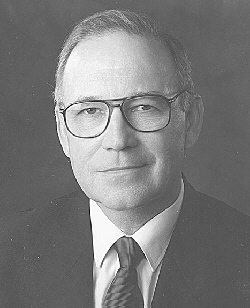 During his Johns Hopkins fellowship, he defined the determinants of internal torsion of the heart essential for ejection of blood. Through his entrepreneurial talent, he and his brother developed a novel balloon expandable stent. Thanks to his initiative, the Johns Hopkins-Technion Joint Program for the Biomedical Sciences and Biomedical Engineering was established in 2000. 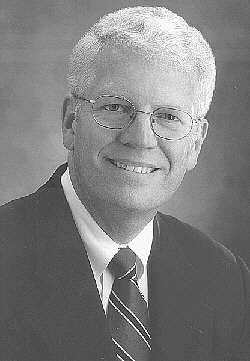 Guthrie Birkhead is a nationally known public health practitioner, scholar and educator who is at the forefront of applying current scientific knowledge to complex public health problems, ranging from the HIV infection rate among newborns to the low measles vaccination rates among preschool-age children. Birkhead's formal introduction to public health came when he received his master of public health degree from Johns Hopkins. In addition to his own research and academic and clinical achievements, Birkhead has devoted himself to training the next generation of public health professionals. Vice president for integrative biology, Eli Lilly and Co.
At a relatively young age, David Bredt is already appreciated as one of a handful of top molecular neuroscientists in the world. His research has revolutionized our understanding of nitric oxide as a neurotransmitter and the dynamics of the major synapses in the brain. 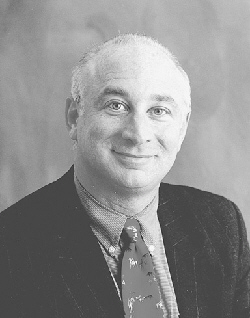 Following his study at Johns Hopkins, Bredt had a meteoric academic career at the University of California at San Francisco Medical School. He has recently moved to a position in the private sector as vice president for integrative biology at Eli Lilly and Co.
Patrick Brookhouser is internationally known for developing ways to quickly detect hearing loss in infants and to discover what causes children to lose their hearing. A leader in the field of pediatric otolaryngology and otology, Brookhouser is director of Boys Town National Research Hospital, where he leads one of the largest institutions devoted to understanding and treating hearing loss in children. His Omaha-based hospital works with a neighboring center to bring auditory evaluation services to rural communities. He has been the lead investigator and director of NIH grants focused on nerve-based hearing loss in children. 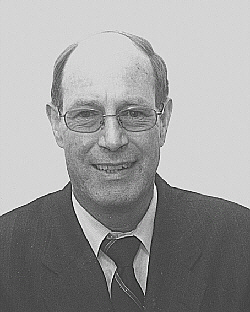 Robert W. Cahn is a widely respected international leader of the materials science and engineering community through his writing, editing, mentoring and research activities. 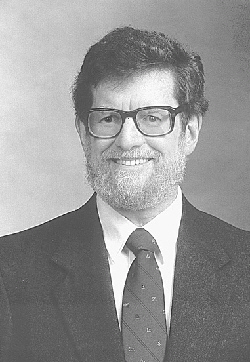 Before leaving the confines of a laboratory to concentrate more broadly on the promotion of materials science, Cahn made seminal contributions to materials research with his early work on recrystallization and twinning and his subsequent research on the crystallography of ordered intermetallic compounds. His achievements in editing and writing are equally impressive. In addition to more than 230 scientific papers, he has published more than 100 commentaries in Nature and written or edited 39 books. 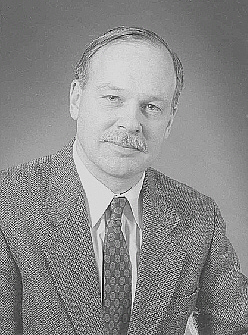 Edward Clark has made many contributions to pediatric medicine through both his research and his clinical care. His study of the heart's forces and circulation in chick embryos has helped doctors gain a better understanding of fetal heart development and its role in a lifetime of good cardiac health. As medical director of the Primary Children's Medical Center at the University of Utah, Clark works to ensure that scientific skill and a doctor's empathy go hand in hand. David Dodge is an economist's economist. He integrates a scholarly approach to economics with the skills of a practitioner. 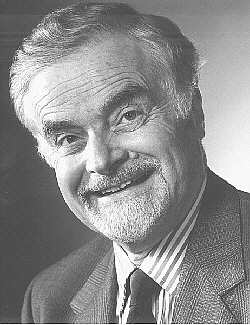 While at SAIS, he was a respected teacher and the enthusiastic proponent of Canadian studies. Dodge has held many important and influential positions in economics in Canada. He was deputy finance minister and was active in applying economic theory to empirical economic issues. As a governor of the Bank of Canada, he has applied a scholarly approach to the management of the Canadian dollar. He also has been active in overseeing the integration of Canada, Mexico and the United States in the North American Free Trade Area. W. Bruce Fye, Rochester, Minn.
W. Bruce Fye combines his fascination with medicine's past with his present contributions to the field. 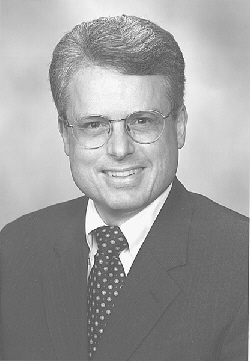 A professor of medicine and medical history at the Mayo Clinic, Fye is a past president of the American College of Cardiology. He has written two books on the history of medicine, including the Johns Hopkins University Press book American Cardiology, winner of the prestigious Welch Medal from the American Association for the History of Medicine. 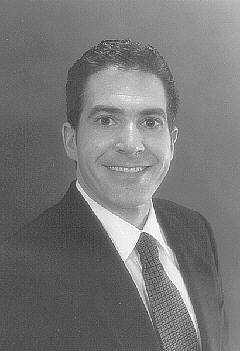 David Guyer, who received his medical degree and his ophthalmological specialty training at the Wilmer Eye Institute, has an exemplary clinical, academic and business record. Combining his clinical expertise with outstanding entrepreneurial skills, he established Eyetech Pharmaceuticals, a private company that has collaborative arrangements with large pharmaceutical corporations to develop and commercialize ophthalmic treatments. His work has included age-related macular degeneration and diabetic macular edema, two ophthalmic disorders of increasing impact on our aging population. Guyer's intense intellectual curiosity, resourcefulness, enthusiasm, creativity and commitment to excellence make him a leader in the field of ophthalmology. Stanley Hamilton received his resident and fellowship training in the Department of Pathology at Johns Hopkins. He joined the faculty of that department, rising to become professor of pathology and director of the Division of Gastrointestinal and Liver Pathology. Among his widely recognized achievements was his research on Barrett's esophagus and colorectal neoplasia. 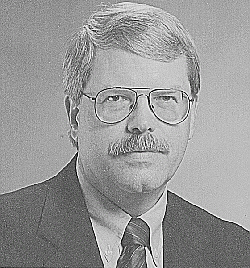 In 1988, Hamilton left Johns Hopkins to become head of the Division of Pathology at the University of Texas M.D. Anderson Cancer Center in Houston. There, his strong leadership, teaching and investigative capabilities continue to play major roles in institutional, national and international affairs related to research into the pathogenesis, diagnostic methods and prognosis of neoplastic diseases. M. Alfred Haynes, Corona, Calif.
M. Alfred Haynes is a pioneer in addressing disparities in health status, access to care and professional health education opportunities for underrepresented minorities and the poor. Over the course of his long and distinguished career, he has been a major architect of social justice for black professionals in the health sciences. One of the first African-American faculty members at Johns Hopkins, Haynes played an important role in a national study titled Hunger U.S.A. and contributed to establishing racial integration policies for the university. 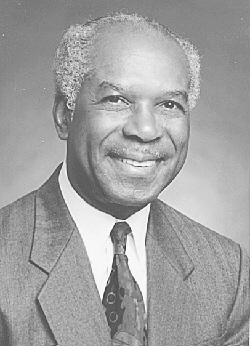 Following the Watts riots in Los Angeles, Haynes became an early faculty member and associate dean of the Drew Postgraduate Medical School, an institution he later served as dean and where he is now president emeritus. A world leader in surgical oncology, E. Carmack Holmes is now executive director of the Center for Advanced Surgical and Interventional Technology at the University of California, Los Angeles, Medical Center. He trained in the Johns Hopkins Department of Surgery and then spent three years at the National Cancer Institute before moving to UCLA Medical Center, where he rapidly rose to the position of professor and chairman of the Department of Surgery. Holmes also is known for having taught and mentored many young surgeons, including Julie Ann Freischlag, the current chair of the Department of Surgery at the Johns Hopkins School of Medicine. Craig Peters is an internationally known and respected clinician and investigator in pediatric urology. Recognized as one of the world's experts in pediatric laparoscopy and minimally invasive surgery in children, he has made major contributions to the basic science of developmental biology and physiology of the bladder. 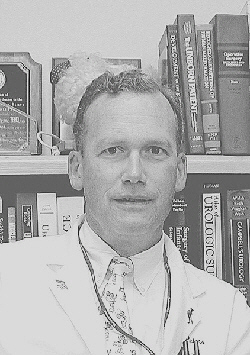 Having received his medical and specialty urological training at Johns Hopkins, Peters joined the faculty of the Harvard University School of Medicine and is an associate professor of surgery at Children's Hospital in Boston. He is held in high regard by his colleagues, as evidenced by his election to membership in the Society for Pediatric Urological Surgeons, where he is one of only five North American members. William Poole is that rare combination of path-breaking research scholar and distinguished public servant. While at Johns Hopkins, he showed how monetary policy should respond to the different types of disturbances that impact the economy. This work is still cited some three decades later. 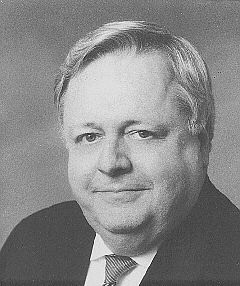 After years of productive work at the Federal Reserve System, the Reserve Bank of Australia and the President's Council of Economic Advisers, and as a professor at Brown University, he was named in 1998 to the presidency of the Federal Reserve Bank of St. Louis, where he serves with distinction. He remains a creative, constructive and generous contributor to economic research and policy-making. Maithili Sharan is head of the Centre for Atmospheric Sciences at the Indian Institute of Technology in Delhi, India. 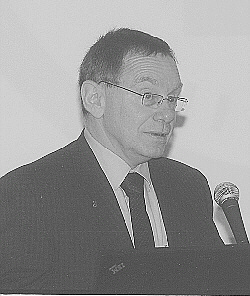 He has made many outstanding contributions to the fields of environmental physiological and computational fluid mechanics and molecular transport. Sharan is credited with developing innovative mathematical models for gas transport in pulmonary and systemic circulations, and he has laid a strong foundation for the understanding of the physiological processes underlying gas transport. 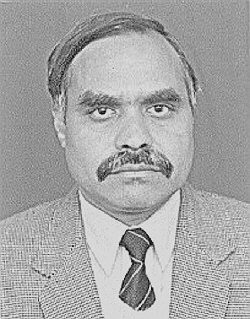 He also has contributed to the development of mathematical models of the dispersion of air pollutants in low wind conditions, which have helped him analyze the infamous Bhopal gas leak. GO TO MAY 23, 2005 TABLE OF CONTENTS.